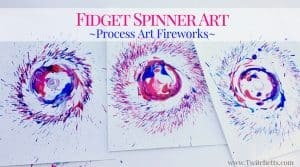 Create amazing firework art using this fun technique. 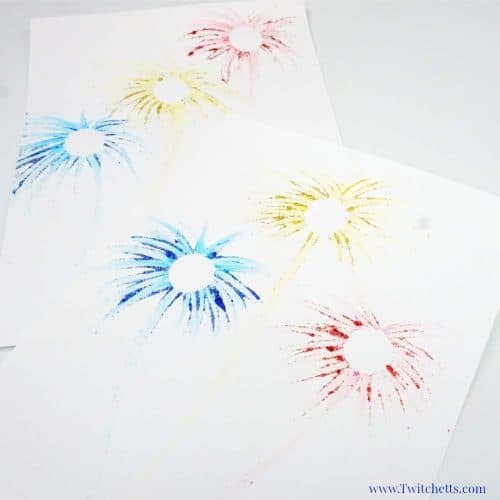 Add in some mess-free glitter, and you have a fun and sparkly patriotic craft that your kids will love creating. When the weather gets nice you start to think about all the fun summer will bring! 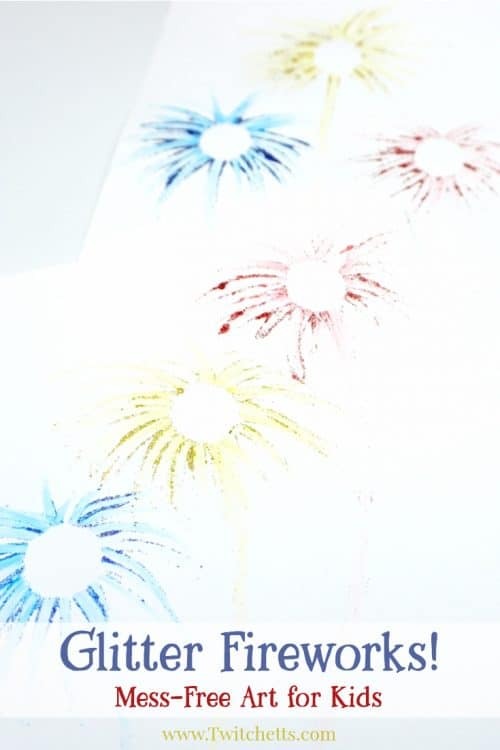 Cookouts, pool days, and of course one of my favorites, fireworks! 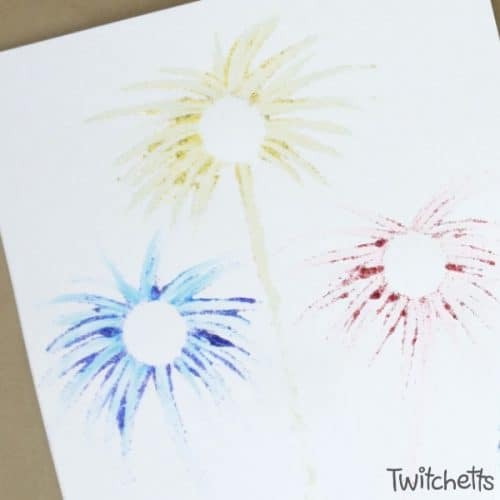 If you love fireworks as much as me or are just looking for a fun patriotic craft four your kiddos, you will want to try this fun art project. 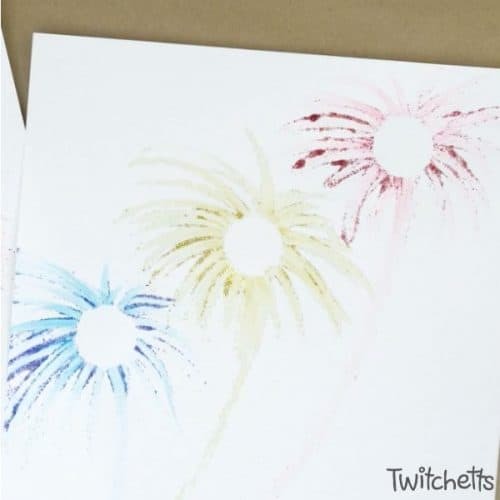 I found a way to create beautiful glittery fireworks, without all the mess that usually comes with the glitter! Washable Markers. Colors to match the glitter you choose. 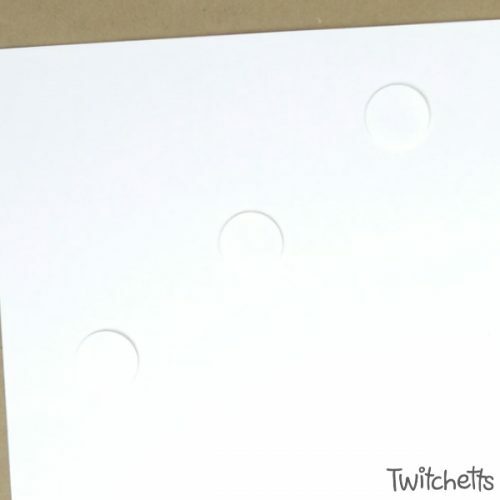 Large Hole Punch. You can use scissors too. 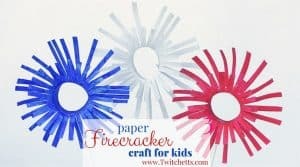 Start by punching out a circle for each firecracker you want to create. Secure them to your piece of cardstock using a bit of painters tape. 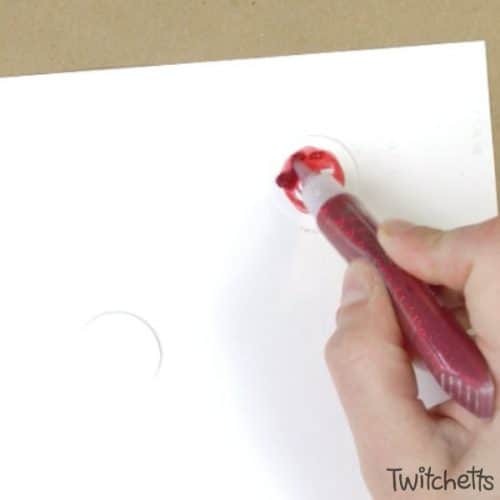 Next, take your marker and color a few circles around the inside of your circle. Then add the matching glitter glue. 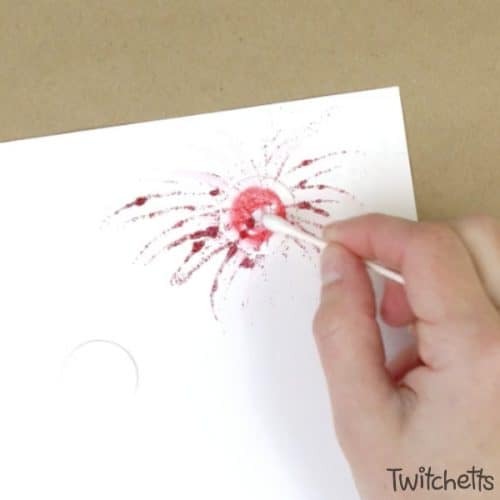 Using a cotton swab, pull the glitter off of the circle out onto the paper in streaks. 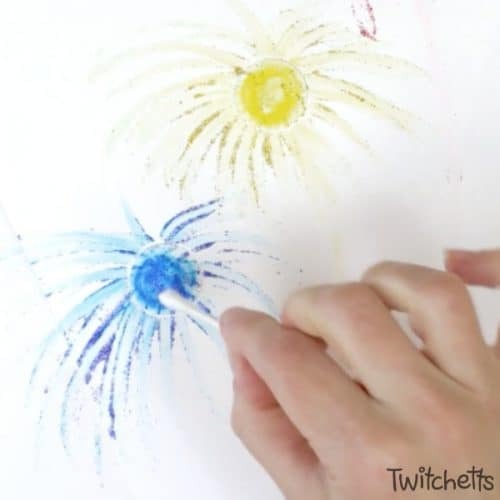 Creating a beautiful firework shape. The glue will pull a bit of the color from the marker as well making them show even better. You can even pull a trail down the paper to show where it shot off from. 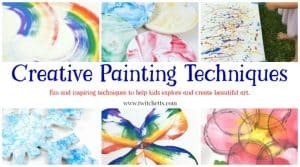 Use a separate cotton swab for each color. 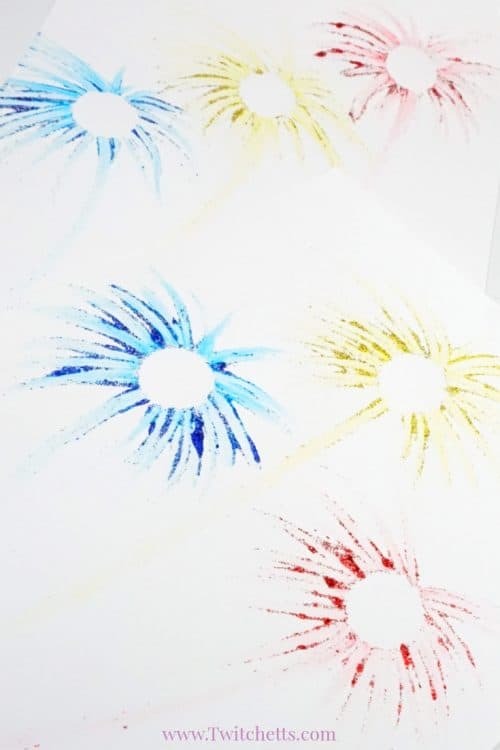 Once all of your fireworks are done carefully remove the circle center and you’re done! Watch the whole process in our video below. 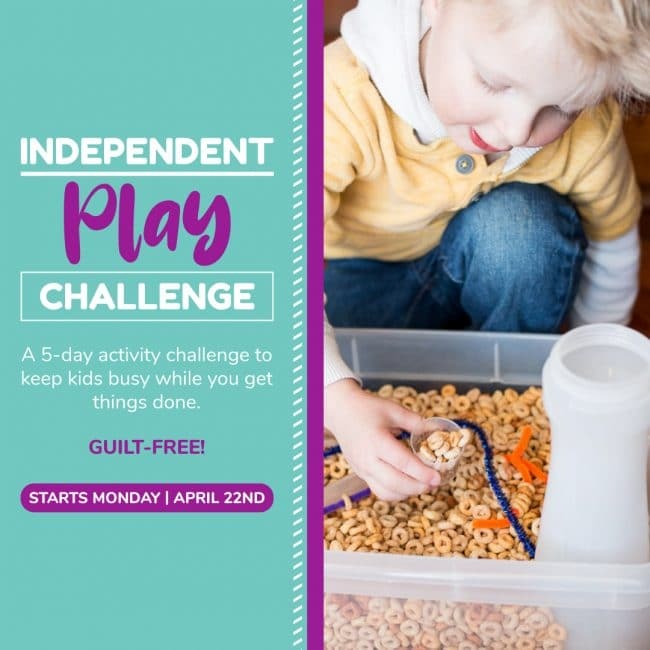 Your kids will love how they shimmer and sparkle, you will love that they can make something pretty with glitter without all the mess! 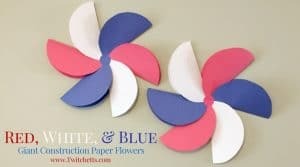 Don’t forget to PIN this to your summer crafting board.